Thank you for taking the time to visit our website and for your interest in our custom designed cabinets. 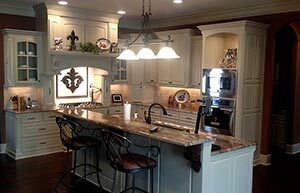 Bailey's Custom Cabinets is a family owned business specializing in fine custom cabinetry. We design and build cabinetry ranging from basic designs to high-end projects, with various architectural accents for continuity throughout the home. 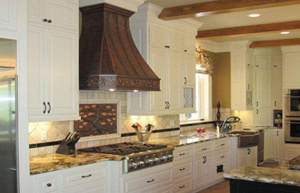 Our styles include traditional, contemporary, and the latest trends in custom cabinetry. We have built our reputation by professionally crafting each set of cabinets using old-world craftsmanship combined with the latest technology. 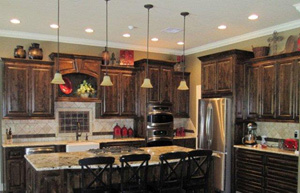 We use only the finest lumber and components in the construction of our cabinets. From the quality wood to the construction techniques, sanding and finish preparation, each of the detailed steps required to construct our cabinets reflects our commitment to quality. Our primary goal is producing custom cabinetry that exceeds our client's expectations in both function and design. The hallmark of Bailey's Custom Cabinets is turning our client's dreams into reality. We accomplish this mission by incorporating craftsmanship, technology, and the highest quality woods into your dream home.